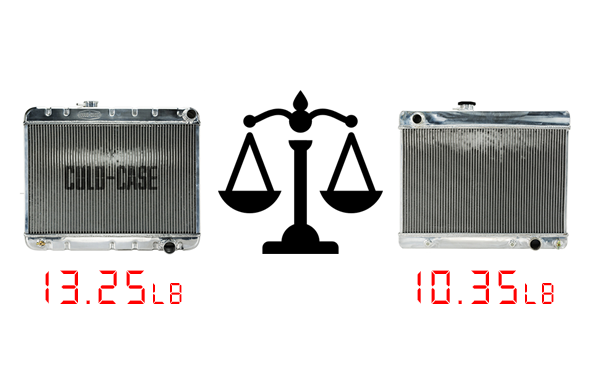 This 23 inch LS Swap 1967 - 1969 Pontiac Firebird COLD-CASE radiator KIT comes complete with a 16" Electric Fan And Custom Fit Aluminum Shroud. 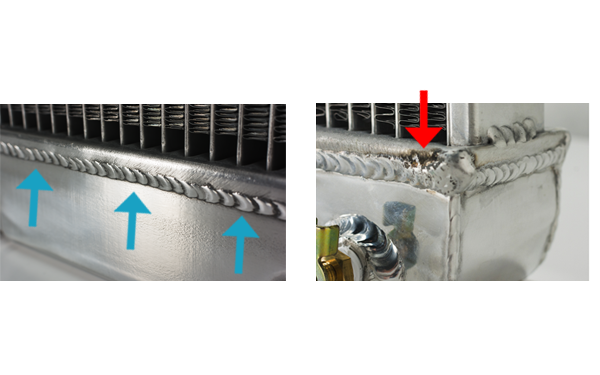 Radiator is Tig welded, 100% aluminum and absolutely beautiful. 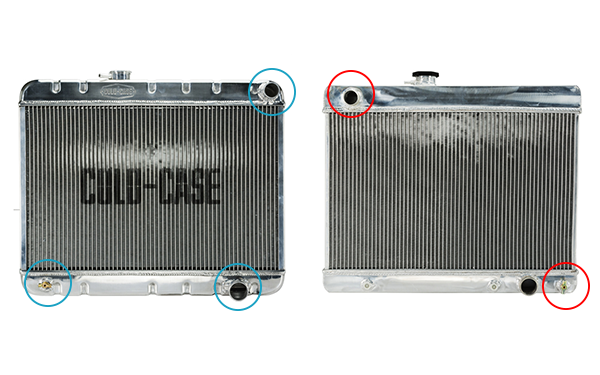 Don't buy a 3 or 4 row aluminum radiator! 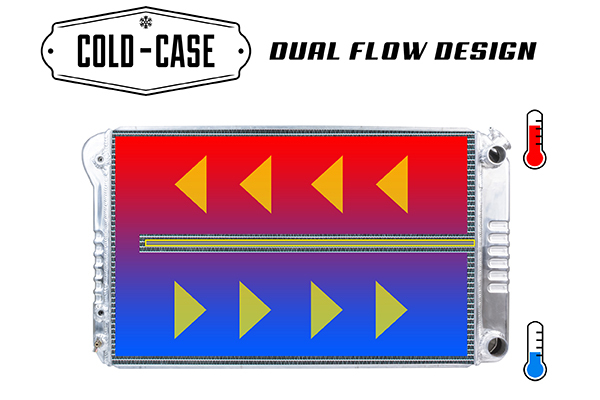 It doesn't cool as good as this oversize 2 row model with (2) 1.25" cores, better flow and higher cooling rate. 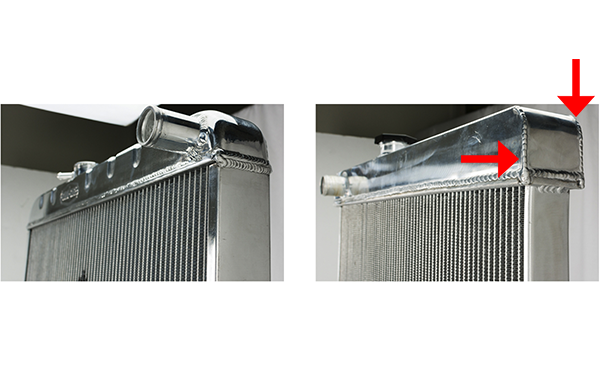 This radiator is original appearing and has the correct stamping. 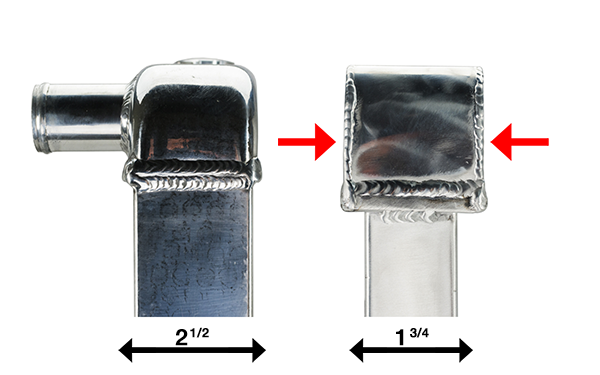 Once painted, you'd be hard pressed to find a difference over an original versus a COLD-CASE. This is a Radiator KIT with a 16" Electric Fan and Aluminum Fan Shroud. 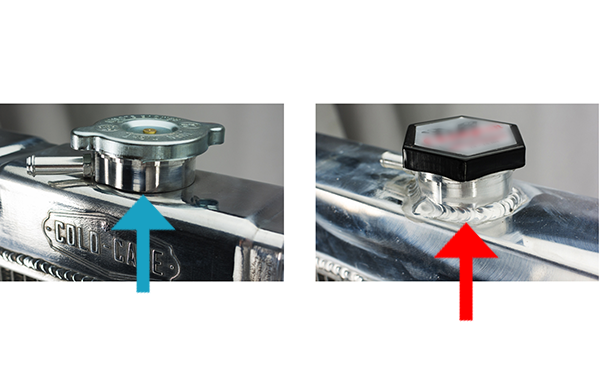 A upgrade to add our wiring and sensor kit is available for $89.90. 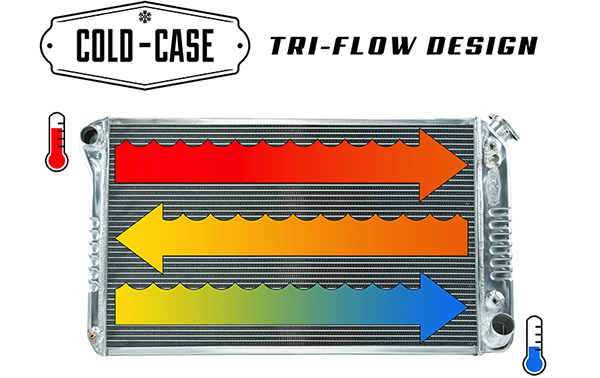 Firebird Central highly recommends this for anyone looking for a high quality direct fit LS Conversion 67-69 Firebird Radiator. We have used this in our own builds and have been more than satisfied... Firebird Central Approved!